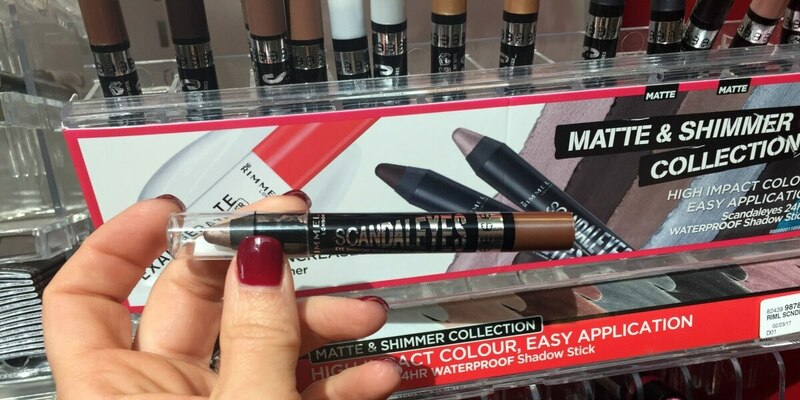 Rimmel Scandal’eyes Shadow Sticks and More as Low as FREE at CVS! There is another awesome deal on Rimmel cosmetics this week at CVS that will score you some FREE makeup! 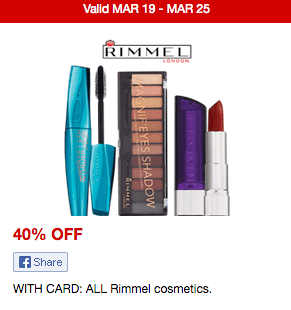 Now through 3/25, CVS has all Rimmel cosmetics on sale 40% off the regular retail prices. You can score these items for FREE after the 40% off sale and coupons! Don’t forget to check your CVS app and scan your ExtraCare Card at the Coupon Center in store…..you never know what surprises you’ll find there!